The enduring rockers have not played in Australia since 2006, but said today they would be playing a gig on March 22 at Adelaide Oval and former member Taylor will be a special guest at the concert. The date is the latest on the 50 and Counting tour, a celebration of Mick Jagger, Keith Richards, Charlie Watts and Ronnie Wood's five decades together that began last November. The Stones will be the first entertainment event at the Oval, a sports field that has undergone a refurbishment. 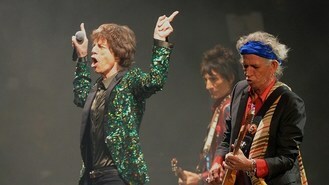 It's been nearly two decades since the Stones visited Adelaide, leading Richards to say: "It's been a while, right?" in a promo video.